The Prado is one of the world’s most important art museums. The quality of its collection is truly singular. Comprised primarily of works collected by the Spanish monarchs since the 16th century, incredible masterpieces hang on its walls, including Las Meninas, by Velázquez, the Black Paintings, by Goya, and The Nobleman with his Hand on his Chest, by El Greco. It also houses other artistic wonders, including The Three Graces, by Rubens, Death of the Virgin, by Mantegna, Descent from the Cross, by Van der Weyden, The Garden of Earthly Delights, by Bosch, and Adam and Eve, by Dürer. The Prado is essential viewing—but not just any viewing will do. We propose a very special visit, savoring the museum’s best and most fascinating works. Rather than rushed, our visit will be relaxed but thorough, and so enriching that you never forget that you saw that painting at the Prado. Accompanied by guides with a unique and thoughtful understanding of the museum, we will enjoy the artwork and everything else that a visit to a place of such history and beauty entails. This is one of our most important art galleries, containing great treasures of ancient art, as well as Impressionism, German Expressionism, the Russian avant-garde, post-war English paintings and the most relevant American artists from the 19th and 20th centuries… A not-to-miss visit. Baron Hans Heinrich Thyssen-Bornemisza’s collection, which is one of the world’s most prestigious, has been joined by that of his wife, Baroness Carmen Thyssen-Bornemisza. Both collections can be visited at the Palacio de Villahermosa, one of Madrid’s most magnificent old palaces, which was restored by the architect Rafael Moneo and opened to the public in 1992. The Thyssen – as people from Madrid often call it – also plays host to temporary expositions that leave us no choice but to wander through its rooms again and again, as if attending a never-ending art history lesson. The history of modern Madrid is closely tied to the paseo that runs north to south, like the city’s backbone, and occupies the riverbed that in its day formed the stream of La Castellana. 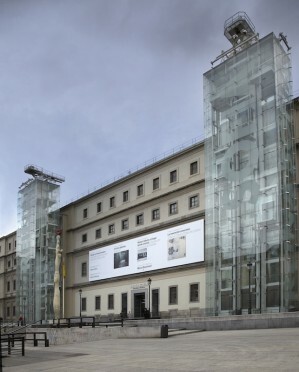 This began more than a century ago with the arrival of the first train at the Atocha railway station, today transformed by Rafael Moneo to receive the modern, high-speed trains.Near the station, the museum works of Moneo, along with those of Jean Nouvel and Herzog & de Meuron, surround the Prado Museum. Further north, in the Plaza de Cibeles, Antonio Palacios, the architect who gave shape to the first works of Madrid modernity, built the impressive Palacio de Comunicaciones, thus passing the baton to his follower in the post-war, Luis Gutiérrez Soto. La Castellana, in its growth north, shows us the first examples of contemporary architecture, almost all of which are tied to the appearance of the first large Spanish companies, the best-known of which is Banco de Bilbao’s Sáenz de Oiza tower. History continues and the list would be never-ending, new times come and La Castellana continues its northbound expansion creating the stage which makes new architectural representations possible. Contemporary Spanish architectural history is thus condensed onto an almost 3-kilometer-long promenade architecturale. Fiesta en un palacio barroco. Francesco Battaglioli. In the 17th and 18th centuries, the people of Madrid were the most brilliant from a cultural standpoint. The arts were excelling, thanks to the great painter Velázquez, among others, and writing took off in all literary genres: fiction, poetry, and above all, theater, which documented the fragile nature of life that paintings reflected in the Vanitas, feelings that were also visible in religious architecture. Giant altars, extravagant decorations, colossal domes and emotional images set the perfect scene for religious retreat and spirituality. A journey through Baroque Madrid, its streets, monuments and, above all, its churches, provide an up-close look at Spain’s fascinating Golden Age. Would you like to visit a studio from the early 20th century? Do you want to see first-hand the home of one of Spain’s most international artists? Joaquín Sorolla’s house, like his art, takes us deep into a world of light and full of life and joy, where the artist recreated the folklore that he painted, surrounding himself with natural, coloristic beauty. Created at the behest of Clotilde García, Sorolla’s widow, the home where the artist spent the last few years of his life opened its doors as a museum in 1932. Sorolla himself was responsible for its design: a large number of spacious, well-lit rooms, surrounded by a lush and cheerful Andalusian-style patio, reflecting all of the tradition of the gardens of Sevilla and Granada. Some of the artist’s greatest paintings decorate the walls. In addition to his typical family portraits, there are also works from his most dynamic, colorful period: in his landscapes and marshlands, clothing sways in the breeze and the sun’s reflection on the water dazzles the eye. In addition to his own paintings, Sorolla’s private collection is also on display at the museum, including sculptures by Benlliure, Rodin and Bloy and pictorial works of art by José de Ribera, Mariano Fortuny and John Singer Sargent. Madrid, with its streets, squares and hidden spots, has seen its share of singular happenings and events, some of which have been forgotten, others which have been concealed by new and modern buildings. But if we look among its oldest monuments, incredible stories abound which tell us how the city was shaped, the story behind its streets, and the lives of its people. This is a very special, distinct visit to one of Madrid’s most beautiful avenues, Gran Vía, through a series of stories which will enable adults and children to discover an authentic museum of Madrid-style architecture from the 20th century in a way that is both poetic and fun. Madrid’s enviable geographic location allows us to visit cities with history that reflects the splendor of centuries past, such as Segovia, declared a UNESCO World Heritage Site in 1985. Its marvelous, centuries-old aqueduct transports us to the most glorious ages of the Roman Empire. Walking under its arches and along the city’s quiet streets and squares, we reach the Santa Maria Cathedral, built in the middle of the 16th century, and the Alcázar, a fortress overlooking the Castilian fields which still represents the power of the city which crowned Isabella I of Castile. Pablo Picasso, Salvador Dalí and Joan Miró. A selection of the greatest works by these three geniuses, 20th century painting icons, form the foundation on which the Reina Sofía Museum’s permanent collection is based. Picasso’s El Guernica has pride of place, along with the other paintings that were on display in the Spanish pavilion at the International Exhibition in Paris in 1937 when Picasso, like many others, tried to depict the Spanish civil war (which did not end for another three years) for the rest of the world. The most rule-breaking masterpieces comprise the core of the exposition, which features works from leading international artists. Cubism, Surrealism, Dadaism, Expressionism… splendid examples of the historical avant-garde hang alongside works by the most contemporary artists on today’s art scene. This historical Neoclassical building, designed by architects José de Hermosilla and Francesco Sabatini, from Italy, was originally the site of Madrid’s General Hospital. It was later expanded, a project headed by French architect Jean Nouvel. The new building, inaugurated in 2005, respects the integrity of the historical site while contributing an elegant design, personality and character to the construction as a whole. And if we leave the “great museums” off to one side, and we delve even deeper and more intensely into history? 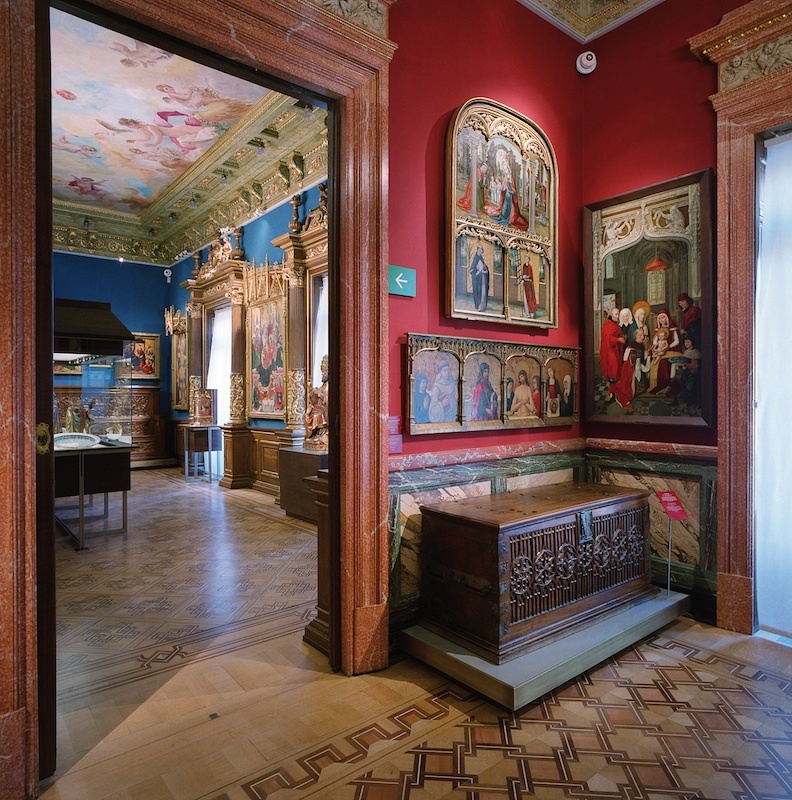 Let’s take a closer look at the homes, now museums, of two great collectors that left their mark on Spain at the end of the 19th century; two very different characters through which we can discover the complex passion for collecting art. Lawyer and financier, in addition to editor, passionate book lover and tireless art collector and dealer; José Lázaro Galdiano was one of the great minds that formed part of Madrid’s intellectual elite at the end of the century. A relentless traveler, he collected the complete and marvelous trove of all different types of artwork that one can visit at the palace that he had built at the beginning of the twentieth century. From paintings by Bosch, El Greco, Velázquez, Goya and Murillo, to archeology, furniture, numismatics and ivory. This is a compulsive collection that calls out for order. Designed to be more of a visitable gallery and party venue than an actual residence, the rich rooms of this small Madrid palace, commissioned at the end of the 19th century by Enrique de Aguilera y Gamboa, the 17th Marqués de Cerralbo, almost completely preserve their original aesthetics and decor, as well as the particular expositions and arrangements that this collector created by using his possessions. Zurbarán, El Greco, Alonso Cano, Bronzino and Tintoretto are only some of the great masters whose works comprise the collection of this insatiable traveler and passionate archeologist. After the fall of the Roman Empire in the West, Toledo became the capital of the Visigoth realm. Later, when this city joined Al-Andalus, it grew in importance, so much so that it became the cultural center of the Western Mediterranean. Muslim tolerance was such that peaceful coexistence thrived with the large Sephardic Jewish community, as well as the Christians, known as Mozárabes, creating a model that is still considered exemplary today. Cultural city par excellence, in the 15th century Toledo was known for its important School of Translators, becoming a reference point for the world’s scholars. Afterwards, the Catholic Monarchs expanded and beautified the city, commissioning the building of the magnificent San Juan de los Reyes Monastery, one of the most emblematic buildings that can be visited in the city, in addition to the cathedral, the synagogue and the Santa Cruz Hospital, now a museum. Today, this unusual cultural encounter still lends the city a unique character that makes it possible to imagine the splendor of the Middle Ages, while bestowing it with the name “the city of three cultures”. King Philip II established Madrid as the capital of the Kingdom of Spain in 1561. He had to create a political and administrative center from which to govern all of the kingdoms he had inherited from his parents, which extended across all continents. To commemorate his victory in the Battle of Saint Quentin, he ordered the construction of the Monastery of San Lorenzo de El Escorial, far from the capital. Architecturally inspired by the mythical Solomon’s Temple, in Jerusalem, this impressive building functioned as a palace to serve the court, and included a basilica worthy of a Catholic monarch; a royal pantheon, where all the Spanish kings and queens are buried; and one of the most interesting and beautiful libraries in all of the European Renaissance. It is one of Spain’s most fascinating buildings and reveals the Spanish monarchs’ immense power during the modern period. Would you like to discover by bike a hitherto unknown Madrid? Join THE REAL THING on a bicycle tour through an exceptional area where outstanding examples of civil engineering from the Renaissance have been restored, along with six major gardens. A few years ago, the city government moved Madrid’s ring road underground, below the Manzanares River, which brought to light an unknown landscape. We will pedal from the Royal Palace to the revitalized La Arganzuela district, along a smooth, well-kept bicycle route, to the western edge of the city, offering a unique, relaxed and leisurely way to experience Madrid. Madrid Visitors & Convention Bureau, 2013. The journey will take us over bridges, such as those designed by Juan de Herrera (the architect behind El Escorial Monastery), Juan de Villanueva (Prado Museum architect) and Dominique Perrault (Mies van der Rohe prize in 1996), to the site of the former city slaughterhouse and cattle market. The building, known as Matadero-Madrid and built between 1908 and 1928 by Luis Bellido, is currently a leading international contemporary art center. The imposing Neo-Mudejar buildings comprising the complex, which have been refurbished by some of the leading 21st century architects, host visual arts exhibitions and concerts and include a seedling nursery, a theater and meeting rooms, the goal being to foster and support all kinds of alternative cultural activities. For a party you need just three people: one to sing, one to dance and the other to play music. But then you also need others to say ole and clap along, sang La Tana, accompanied on the guitar by Paco de Lucía. You can see flamenco in an auditorium, a theater or a small club, but the best way to experience it is at an intimate gathering with a few friends. Attending live, unplugged performances by artists such as La Tana, who sang alongside Paco de Lucía, or Paco del Pozo, who received the prestigious Lampara Minera Flamenco award, is possible with THE REAL THING. We also offer other options, such as dinner and a flamenco show at one of Madrid’s leading venues, or even classes to learn how to dance, sing and play along with flamenco, given by some of the leading professionals in these areas. Our itineraries and routes are really just an excuse to get to know people and places, to chat while we look at a necklace or a small antique mirror, and talk about where they serve the very best cheesecake. It’s about spending a few hours together and losing track of, changing, or finding our way, along with a pretty dress. A walk can be the most special part of your visit if you discover something you didn’t expect or end up in a place you’d like to return to over and over again. When you’re with jewelry designer Virginia Abascal, every route is unique and special: “I never know where we’ll end up in Madrid, but I always start by listening to you to figure out what your perfect route would be”. Virginia has always had an eye for hidden treasures and the ability to see things others don’t. Ever since she was a little girl, she has followed her own path and taken the road less traveled. This ability to find beauty in the unusual led her to become an independent jewelry designer whose beautiful creations shape emotions and feelings. Historically, Madrid was considered Spain’s greatest port in view of the quality of the products available in its markets and restaurants. If you’re interested in EATING well, Madrid has everything you could ever imagine: from centuries-old bars to the three Michelin star restaurant DiverXo. There are a thousand and one options, a thousand and one possibilities; the offer is endless. In addition to making reservations for you at the best restaurants and recommending lesser-known locales, we’ll accompany you to the market, cook with you and take you for tapas. 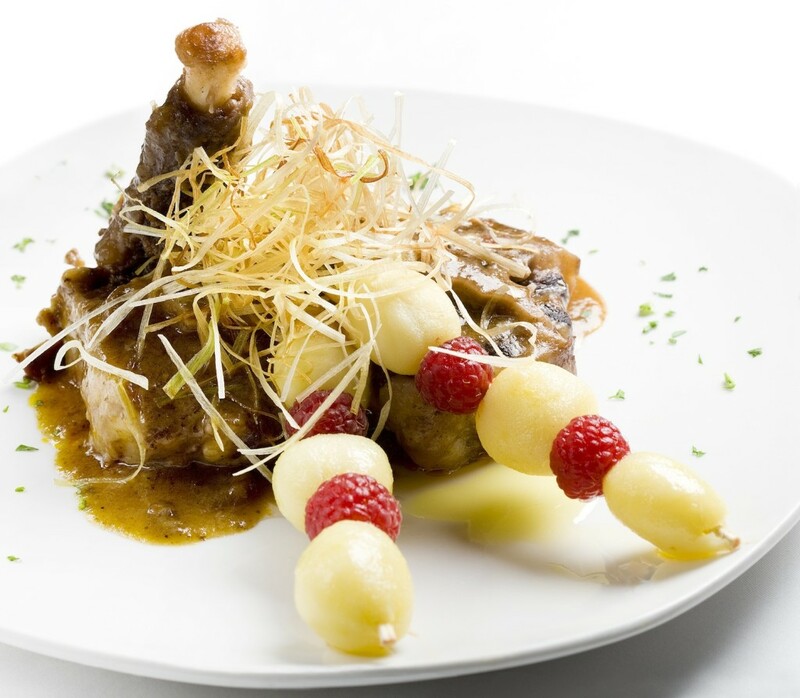 Perhaps the best way to discover Spanish cuisine from the bottom up is with one of our chefs. We’ll head to the market to seek out the best seasonal products and produce, then learn some tricks in the kitchen and savor our creation. And if wine is your passion, you’ve come to the right place. Because wine has been a part of our history (Spain has more than 60 Designations of Origin); because it’s pleasure, both aesthetic and sensorial; because there’s always a cause for celebration… for these reasons—and many more—we invite you to exclusive guided tastings led by our sommeliers, and to pairings, a surprising labyrinth of flavors, colors and aromas. Madrid Visitors & Convention Bureau, 2013. José Barea. Or let’s go for tapas. Tapas in Madrid are not only a different way of eating, they’re another way of living: small bites full of history alongside contemporary gastronomy, tradition and innovation, old restaurants beside new ones. A passionate way to discover the city and lose ourselves in its streets. Panoramic view. Santiago Bernabéu Stadium. Di Stéfano, Puskas, Kopa, Zárraga, Gento, Amancio, Hierro, Raúl, Figo, Beckham, Zidane and Christiano Ronaldo… This football club, whose history extends back more than 100 years, was sponsored by King Alfonso XIII in 1920.